Symptoms: I have been feeling warm or hot on a pretty regular basis. The bun is officially warming up the oven! I don't remember noticing this when pregnant with Liam, but that makes sense since he was a summer baby! Food Cravings/Aversions: Fruit, french toast, granola, & chocolate! Staying Active? Three runs this week, two of which were outside! Feeling so strong as I continue to run! Maternity Clothes: I decided to do schedule another Stitch Fix while I'm still pregnant! I'm really hoping for a new maxi dress that I can wear for my Baby Sprinkle as well as maternity photos! This one floating around Pinterest has caught my eye! Purchases: Liam's cloth diapers have held up well, but I need to change out the elastic before we put them on a small baby again. I ordered some refresher kits and as soon as they arrive, the sewing will begin! I'm oddly excited about this! Cries: Zero. My mom was here, and I was as happy as can be! Nursery Progress: We started looking at paint chips for the accent wall. Depending on the time of day & the weather, I favor between my favorite. Blues are hard to decide on. 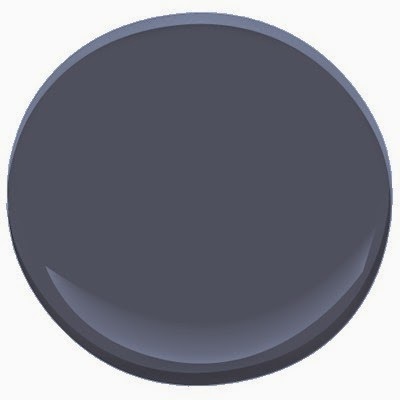 However, I think I'm leaning towards Benjamin Moore Kensington Blue. Looking Forward To: Watching the nursery start to come together! I can't believe you are already 30 weeks! Finn will be here before you know it! I can't wait to see how the nursery comes out... I love your design! Love that dress and the blue paint color! Can't wait to see how it turns out. And I've definitely had pregnancy hot flashes for months now. I don't know how some prego people wear sweaters at all (even though it is freezing here)! Have a good day mama! Gosh, you're so adorable! That dress is everything, so cute. And I love that wall color!! Yay for paint chips! Loving that dress! So excited for your sprinkle! Hope you have a fabulous week! Awwww you look so sweet and beautiful, lady! Love the outfits you are wearing, too! Love that dress! Where did you find it?! You look great and that maxi would be perfect for your sprinkle! I bought it at Nordstrom, but I've had it for about 3 years. It's one of my favorites, and I can just barely still squeeze into it! Is it just me or is time flying?! Can't believe you're at 30 weeks already! 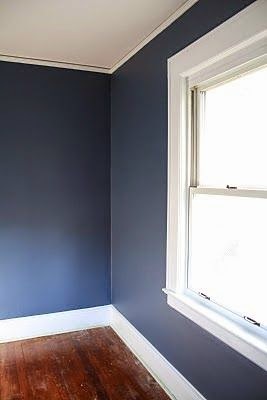 Love the idea of an accent wall in the nursery - that color is perfect! that blue paint is gorgeous! i kinda want to paint my room that colour now. good to hear about your runs - it has been too cold for me to run outside, boo. and way to go with replacing the elastics, what brand of cloth diapers do you use? Seeing that 3 at the beginning of what week it is has me going all kinds of eekkk!!! Time is flying! Look at that bump! Oh my! So close! I can't believe how fast this pregnancy is going!